Corrie Chen joins us to talk the films of Nora Ephron! Rochelle and Lee look back at some key films from this month, including Haifaa al-Mansour’s gothic biopic Mary Shelley (01:37), the Ruth Bader Ginsburg documentary RBG (06:01), the Kiwi comedy The Breaker Upperers (10:29), and William Friedkin’s exorcism doco The Devil and Father Amorth (13:29). This entry was posted in podcasts and tagged bewitched, cookie, corrie chen, everything is copy, hanging up, heartburn, julie & julia, lucky numbers, mary shelley, michael, mixed nuts, my blue heaven, nora ephron, perfect gentlemen, rbg, silkwood, sleepless in seattle, the breaker upperers, the devil and father amorth, this is my life, when harry met sally, you've got mail on July 31, 2018 by The Hyphenates. If you want to really get to know Nora Ephron as both a writer and a person, you’ve got to kick off your evening with Heartburn. Directed by Mike Nichols and starring Meryl Streep & Jack Nicholson, Ephron based Heartburn on her own autobiographical novel about her marriage to Carl Bernstein. With Ephron as both storyteller and subject, there are few works as revealing or insightful as this gem of a film. Follow it up with Sleepless In Seattle, her second film as director and eighth film as writer. You’ve probably seen Sleepless, but look, it can’t hurt to see it again. A flawlessly-constructed romcom that holds up despite the countless pretenders that have since diluted the genre into meaningless pap, Sleepless is masterful at both the rom and the com aspects, packed with brilliant one-liners, interesting characters, and humans behaving like humans instead of cardboard tropes. If you’re wondering why Ephron is so highly regarded, this pair of films will put that question to rest. Substitutions: If you can’t get or have already seen Heartburn, seek out This Is My Life (1992). 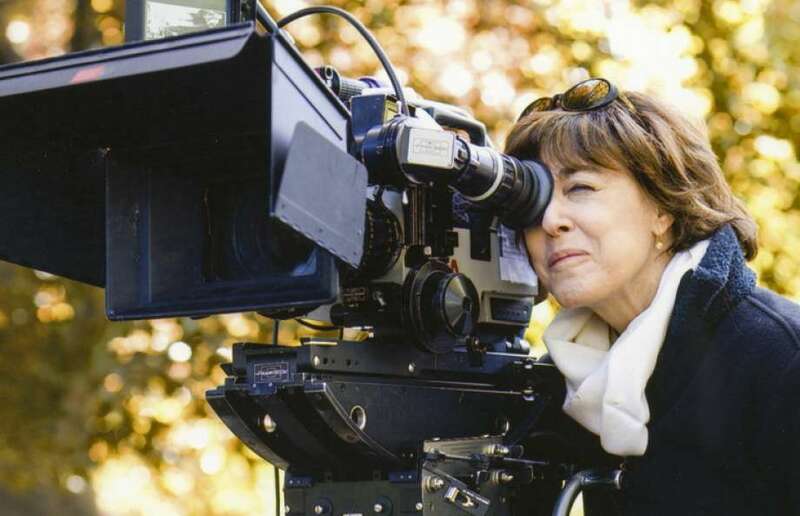 Ephron’s directorial debut wasn’t as autobiographical as Heartburn, but it definitely drew on her experiences as a woman struggling to hit it big in the entertainment world as she raises a couple of kids alone. And the physical similarities between Ephron and star Julie Kavner can’t be ignored. If you can’t get or have already seen Sleepless In Seattle, get your hands on When Harry Met Sally (1989). Directed by Rob Reiner (whom Ephron would later cast in Sleepless and Mixed Nuts), this is the all-time classic of the genre. Funny and engaging, satisfying yet unpredictable, this is one of Ephron’s best scripts, and would play a big role in setting the tone of her directorial career. The Hidden Gem: Want to see something off the beaten path, a title rarely mentioned when people talk about the films of Nora Ephron? Then you should track down Perfect Gentlemen (1978). This is the film that started it all. Her first produced film was a made-for-TV movie that features Lauren Bacall, Ruth Gordon, Sandy Dennis and Lisa Pelikan as a group of women who meet after visiting their husbands in prison, and decide to band together and rob a bank. It’s a bit hard to track down (a low-res but watchable version may possibly be findable online if you cast around a bit), but it’s absolutely worth it. The next episode of Hell Is For Hyphenates, featuring Corrie Chen talking the films of Nora Ephron, will be released on 31 July 2018. 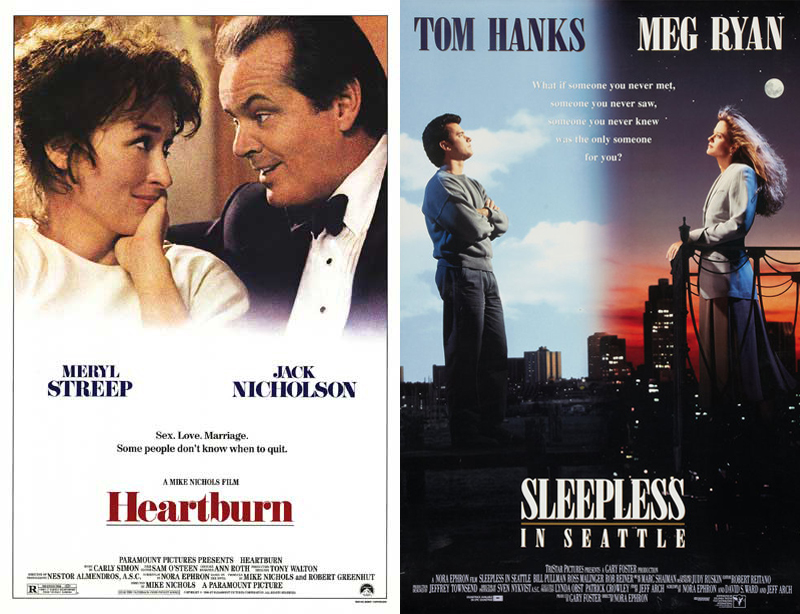 This entry was posted in blogs and tagged cheat sheet, corrie chen, heartburn, nora ephron, perfect gentlemen, sleepless in seattle, this is my life, when harry met sally on July 27, 2018 by The Hyphenates.